On January 23, 2017, Beijing Institute of Graphic Communication held a new appointment ceremony for part-time off-campus tutors for masters in the multi-purpose hall of the college. Principla of Beijing Institute of Graphic Communication Luo Xueke, Vice principal Wang Guanyi, Chairman of China Printing Technology Association Wang Yanli, Subeditor of Higher Education Press Lin Jin'an, General manager of Techmach YangMu, Deputy general manager Li Weineng and Director of vision division Mr.Li, General manager of Xi'an Aerospace-Huayang Mechanical & Electrical Equipment Co., Ltd Ge Chaoming, Deputy general manager Du Yawen, Professor and Ph.D. tutor of Tsinghua University Dr. Feng Lisheng, Chairman of BeiRen Group Corporation Chen Bangshe, Chairman of Basch Co.,Ltd., Yang Xiaoming, Director of Institute of Industrial Economics of Chinese Academy of Social Sciences Wang Qin, these 21 new postgraduate off-campus part-time tutors attended the appointment ceremony. Wang Guanyi addressed in the ceremony. He thanked and congratulated the employed tutors. He thanked all the tutors for their long-term support and enthusiasm for the development and construction of graduate education in Beijing Institute of Graphic Communication. 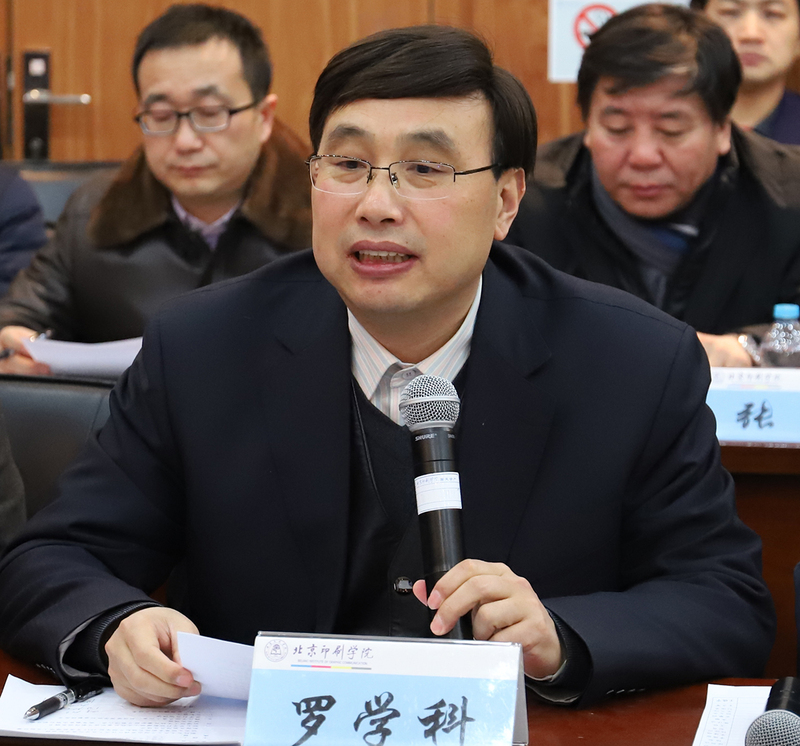 He pointed out that at present, the postgraduate education in our country is further transformed to the service-oriented and quality-enhancing connotation-oriented development, and the social requirements for postgraduate innovation and practical ability are also correspondingly enhanced. And part-time tutors' participation is just the time, a lot of useful, for our college to improve the quality of graduate education provides a solid guarantee, hoping part-time tutors can use their rich practical experience and industry background, with the school tutors co-develop training goal, full participation in the training process, improve the curriculum, enrich teaching content, in particular, to assume part of the teaching, practical training guidance and dissertation guidance, to build a "double teacher" tutors team of clear division of labor, complementary advantages and full cooperation, to establish distinctive, organic integration of production and learning of collaborative education mode, to achieve he organic convergence between our school personnel training standards and the needs of industry professionals. Yang Hong, executive vice president of Graduate School, briefed on the history of the discipline development in schools and the overall situation of new off-campus part-time tutors in 2017. In 2017 our college added a total of 41 part-time tutors, including 9 postgraduate part-time academic degree tutor and 32 postgraduate part-time professional degree tutors. Subsequently, the appointment ceremony was held. Principal Luo Xueke awarded 21 off-campus part-time tutors from 18 companys. 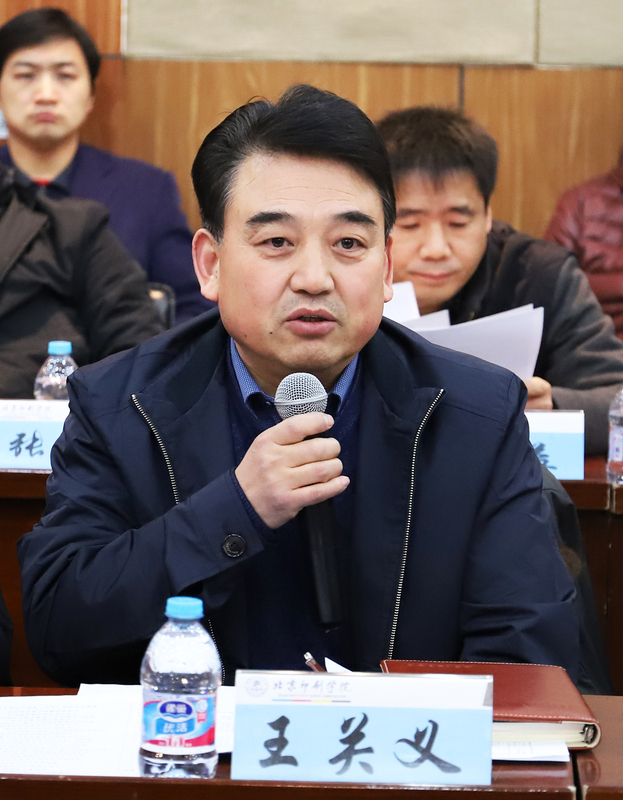 Wang Yanyan, President of The Printing Technology Association of China, and Lin Jin'an, Subeditor of the Higher Education Press, made speeches respectively as the representatives of newly-added off-campus post-graduate tutors. Based on accurate grasp of social needs, they talked about their duties and responsibilities from their professional perspectives and rich experiences. They promised to fulfill their duties conscientiously and worked hand in hand with teachers and students of Beijing Institute of Graphic Communication to create a Chinese dream so that the school talent building can go to a higher level. Professor Liu Yi from the School of Economics and Management spoke as the person in charge of the appointed school. On behalf of the college, he expressed his gratitude to the newly appointed tutors and thanked them for their support and contribution to the entire process of school personnel training. Off-campus part-time tutors provide both academic guidance and practice and job skills training to students. They also provide guidance to postgraduates on their thinking, professional ethics, career paths and workplace experience so that their postgraduates' ability and quality are comprehensively enhanced. It is of great significance to improve the overall quality of education in college. First, we hope all the schools and disciplines will take this meeting as an important opportunity for discipline construction and personnel training to build a platform for off-campus tutors to provide facilitation to enable tutors to participate in the training of college personnel in an in-depth manner and effectively participate in the training of postgraduate students links. Second, we hope that all achools work closely with relevant enterprises through the bridge of postgraduate training so as to truly understand the enterprises' needs for talent and science and technology work, enhance the ability of personnel training and serve the needs of the society. Third, I hope all the postgraduate tutors who present here will give advice and contributions to the postgraduate education in schools and provide internship, practical and cooperative opportunities for graduate students. Truly turning the demand of enterprises into the direction of scientific research and the demand of talents into a goal of talents trainings. Previous one 【College-Enterprise Cooperation】Techmach Corporation & Beijing Institute of Graphic Communication held cooperation signing ceremony - Together, Create a Better Future! Next one Let them go back for the spring festival, I will work overtime.